Emma Wesley (b.1979) is an award-winning portrait painter who lives and works in London. Self-taught as an artist, she studied English Literature at Cambridge and Painting Conservation at the Courtauld Institute of Art before beginning a career as a portrait painter in 2003. 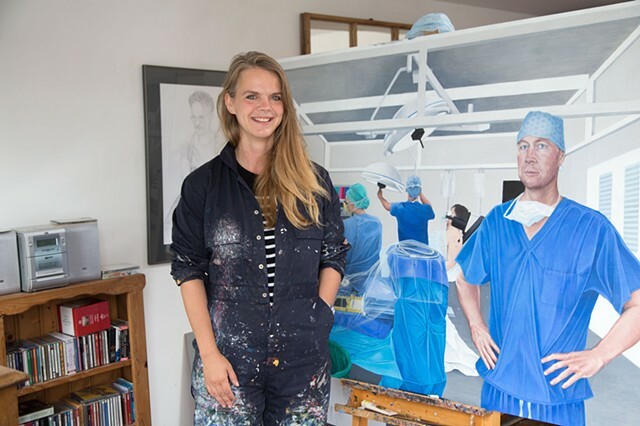 Emma has exhibited widely throughout her career, and has shown paintings regularly in the BP Portrait Award at the National Portrait Gallery. In 2007, Emma was elected a member of the Royal Society of Portrait Painters and has twice been awarded the De Laszlo Silver Medal for Portraiture by the Society. Emma has works in many private and public collections, including The National Portrait Gallery, The Royal Society, The Inner Temple, The MCC, The Royal Welch Fusiliers, All Souls College, Oxford, Christ's College and Jesus College, Cambridge, The University of East Anglia and Rugby School.